It’s Finally Time for Some Spring Cleaning! For a time it seemed like winter would never end! But those April showers helped to bring May flowers and some warmer weather. It’s always such a joy to watch the earth come back to life and to hear all the birds singing and enjoying the warmer temperatures. And with the arrival of spring comes the annual tradition: spring cleaning. As you start to go through your house, room by room, getting rid of unnecessary items, please keep us in mind! With two Thrift Stores (Hagerstown & Chambersburg), we always welcome your gently used clothing, shoes, furniture, jewelry, housewares, and more. Sales generated in our Thrift Stores help to underwrite the cost of all of our programs and services so that we can continue to provide for our neighbors in need at no cost to them or the taxpayer. Furniture – accepted at the rear of the Thrift Store (central parking lot off of Church St) from 9AM – 4:30PM Monday – Saturday. Please do not leave items on the dock unattended, especially after business hours. Furniture Items Accepted– beds (frames, headboards, footboards, mattresses* & box springs), couches, upholstered* chairs, dining tables and chairs, small tables (end tables & coffee tables), desks and chairs and dressers. We also accept rugs, bicycles, exercise equipment, wheelchairs and other handicap equipment. *We cannot accept mattresses or upholstered furniture that is torn, stained or covered in pet hair. Clothing & Miscellaneous – items accepted at the rear of the parking lot Monday – Saturday from approximately 8:30AM – 4:30PM (between 11:30 AM – 12:30 PM there is no assistance to unload vehicle. You may still drop off items but if you require assistance please come before or after.) Please do not leave items unattended on the dock after business hours. Items NOT Accepted– wet/soiled clothing, computers, floor model televisions (we do take flat screen TV’s as long as they work), floor model stereos, office telephones (multiple line phones) refrigerators and freezers, washers and dryers, dishwashers, stoves, sinks and toilets, large wooden or metal desks (office), upright pianos, large organs, cribs & car seats (due to government regulations for resale), waterbed mattresses or frames and used ceiling/electric fixtures. We accept corrugated cardboard at our Baling Facility Monday – Friday from 8:30AM – 11:30AM and 12:30 PM-1:30PM and on Saturday from 8:30AM – 11:30AM. Also, you can get a receipt for tax purposes by making a list of items donated. Please remember to put your name & address on the list!! Your list can be turned in at the Thrift Store or you can get a form to fill out in the Thrift Store. You will receive your tax-deductible receipt by mail in two to three weeks. Thank you so much for your generous donations to The Hope Center! These items will help families and individuals in your community in many different ways. 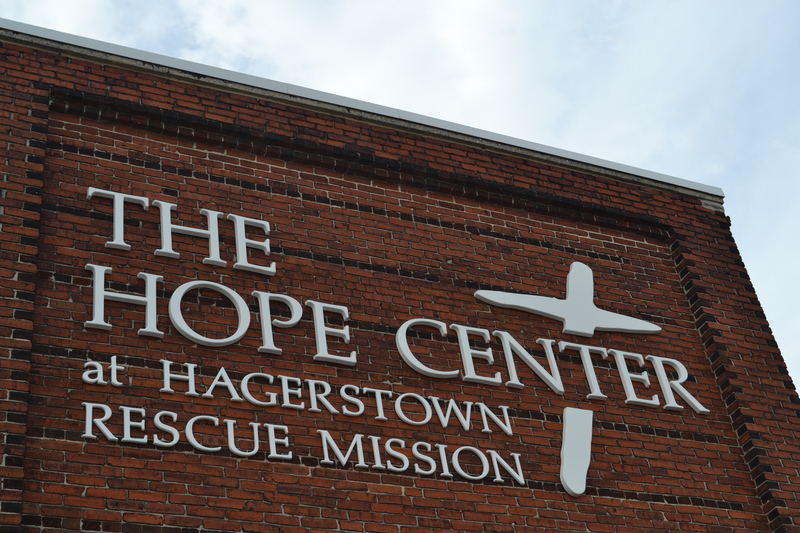 Go to http://www.hagerstownhopecenter.com to learn more about all the various programs and services we provide to people in need in our area. We totally understand. We see the increase of food & energy prices and we feel the pain at the pump as well. But we also see the pain in the faces of those who have been deeply hurt during this economic downturn. The number of women and families in need is definitely greater now than before. We can see the evidence of the economic downturn in all the various types of people who are packing out our dining room for a free meal at our daily soup line. Times are tough for us too. As people have been hit by the bad economy, the needs of our services have only increased. But God has been faithful in supplying our needs so that we can reach others’ needs! We know it’s a lot to ask for your financial support but we want to give you an opportunity to give back to God in a way that will help many others that are in desperate times. I’m sure there are plenty of other organizations and ministries that have asked for your time and money, recently or in the past. But please consider joining us in reaching your neighbors in need in Hagerstown. Your gift will allow us to touch lives in many different ways. From homeless men, to families in need, to kids’ activities – like our free summer camp – your financial support will give us the opportunity to meet the physical needs of people while also providing us with the chance to meet their spiritual needs as well. Your gift helps us stay in business without ever accepting any tax dollars to do so! And we want to make your giving experience as simple as possible. If you go to www.hagerstownrescue.org, you can use your credit card or PayPal account to give a donation online. On the homepage, there is a small, red box on the left side of the page with a link to ‘Give to HRM’. Just click that and you’ll go to our donation page. We use PayPal as a secure way to give online and make it easy to continue to support us. If you aren’t comfortable with giving online, please call us at 301.739.1165 or email us at hagerstownrescue@verizon.net to learn how you can partner with us and support the ministries of hope! If your budget is stretched thin and you’re unable to give, we understand. But there are other ways for you to support us. We are always interested in people or groups that would like to volunteer. There are many different areas to get plugged into so just email us or call us to start the process. You can also go to www.hagerstownrescue.org and fill out a volunteer application. If volunteering is not for you, consider donating any gently used clothing, shoes, housewares or furniture. 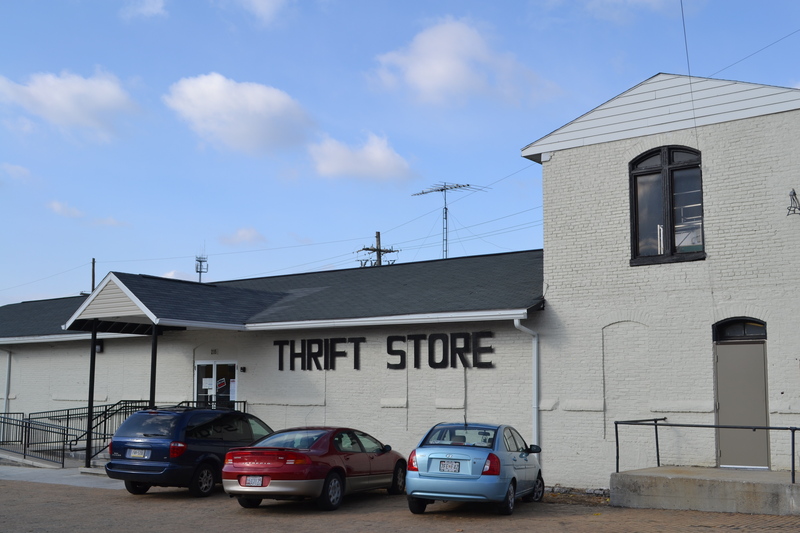 Our thrift stores (Hagerstown & Chambersburg) are a vital part of keeping our ministries financially operational. When you give your items, they may be put in our stores for purchase or they could be given for free directly to people in need of various items. You could always help keep our pantry stocked. We go through a lot of peanut butter and it’s a staple in our food bags. When you’re at the grocery store, pick up an extra jar for a family in need. You could also organize a food drive at your church, school, work or civic organization. Check out past blogs entries (look under donations or food bank) for lists of items needed. And of course, no matter how many ways you get involved, please remember to pray for us and all the people we work with. Pray for us in your small groups, Sunday School classes, youth groups and family prayer times. Pray for our residents as they battle addictions and fight for lasting change in their lives. Pray for the homeless. Pray for the hundreds of hungry people in the area who stop by each week in need of food. Pray for the kids who are actively involved in our Wildside programs. Pray for our staff who see the effects of pain and sin, hunger and abuse in the shattered lives of people daily. And pray that God continues to supply for our needs. As we look to expand our services, we need the prayer of God’s people to help guide us and make a way for us to reach all these people in need. Thank you for being a part of bringing real hope and change into the lives of so many! 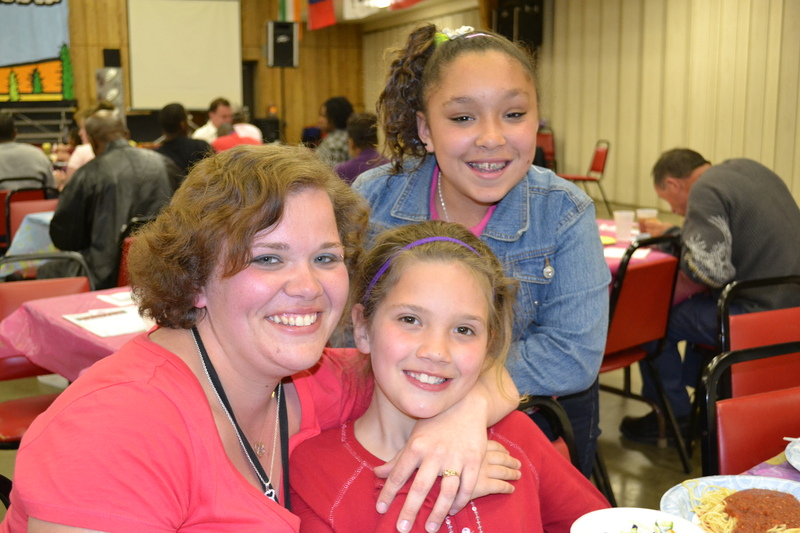 Your prayers and donations are being used to win people to Christ and meet the physical needs of men, women and kids in the Hagerstown area. The birds are chirping. The flowers are blooming. And everyone’s allergies are out-of-control. This can only mean one thing: it’s spring!!! Spring is such a wonderful time of year as we watch God bring the earth back to life. Seeing green grass again. Enjoying the warmth of the sun once more. Spring is always a welcomed season. And with the arrival of spring comes the annual tradition: spring cleaning. As you start to go through your house, room by room, getting rid of unnecessary items, please keep us in mind! 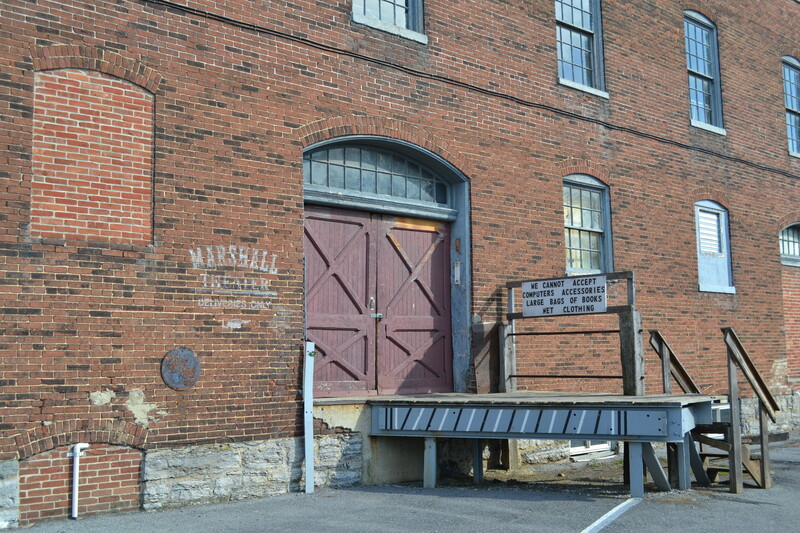 Furniture is accepted at the rear of the Thrift Store (central parking lot off of Church St) from 9AM – 4:30PM Monday – Saturday. Please do not leave items on the dock unattended, especially after business hours. Clothing & Miscellaneous– items accepted at the rear of the parking lot Monday – Saturday from approximately 8:30AM – 4:30PM (between 11:30 AM – 12:30 PM there is no assistance to unload vehicle. You may still drop off items but if you require assistance please come before or after.) Please do not leave items unattended on the dock after business hours. Items NOT Accepted– wet clothing, computers, floor model televisions (we do take other TV’s as long as they work), floor model stereos, office telephones (multiple line phones) refrigerators and freezers, washers and dryers, dishwashers, stoves, sinks and toilets, large wooden or metal desks (office), upright pianos, large organs, cribs (due to government regulations for resale), waterbed mattresses or frames and used ceiling/electric fixtures. We accept corrugated cardboard and newspapers at our Baling Facility Monday – Friday from 8:30AM – 11:30AM and 12:30 PM-1:30PM and on Saturday from 8:30AM – 11:30AM. If you have items to donate that are not listed or you have questions about certain items, please call 301.739.1165 or email hagerstownrescue@verizon.net. We do have a truck that can pick-up your items. Each day our truck covers a specific area of town. If you’d like to schedule a pick-up, please call 301.739.1165 to get more details. You can get a receipt for tax purposes by making a list of items donated. Please remember to put your name & address on the list!! Your list can be turned in at the Thrift Store or you can get a form to fill out in the Thrift Store. You will receive your tax-deductible receipt by mail in two to three weeks. Thank you so much for your generous donations to The Hope Center! These items will help families and individuals in your community in many different ways.